Contrary to popular belief, you don’t have to spend and arm and a leg to have fun on vacation — even in big cities. Take Chicago, for example. Although there’s no shortage of places to spend your hard earned cash in the Windy City, there are also some freebies to be had. With that in mind, here are some accessible money-saving suggestions for your next Chicago visit. Introduced in 2002, the Chicago Greeter program (www.chicagogreeter.com) offers over 40 free walking tours to visitors. This volunteer program is overseen by the Chicago Office of Tourism and staffed by local tour guides or “greeters”. And because of the individualized nature of this service, accessible tours are also available. Chicago is known for its art museums, and if you plan your schedule accordingly, you can visit two for free. The Art Institute of Chicago (www.artic.edu/aic) offers free admission on Thursdays after 5 p.m, while The Museum of Contemporary Art (www.mcachicago.org) is free every Tuesday for Illinois residents. Both museums have a barrier-free entrance, elevator access to all floors and plenty of space to roll around the galleries. If you’d like to explore the Navy Pier (www.NavyPier.com), hop on the free wheelchair-accessible Navy Pier Trolley. The trolley runs along a route that travels from State Street to the Navy Pier, via Monroe Street, Columbus Avenue and Illinois Street. 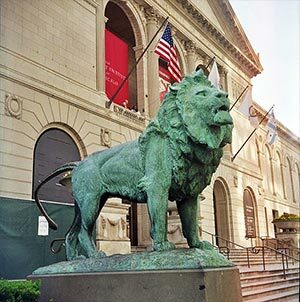 There are several stops along the way – including the Art institute of Chicago – and the trolley also operates during special events. 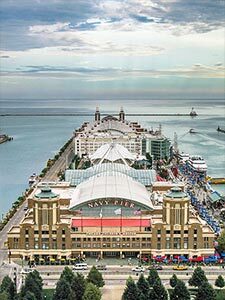 And when you arrive at the Navy Pier, check out the wide variety of restaurants and attractions. There’s level access along the pier, and elevator access to all levels of the buildings along the way. It’s a great place for a pleasant stroll, as well as a prime people watching venue. 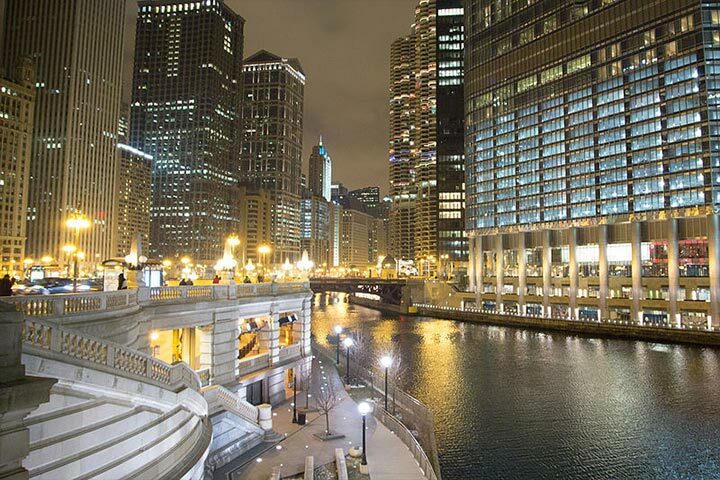 Located on the south bank of the Chicago River, beginning at Lake Shore Drive, the Chicago Riverwalk (www.chicagoriverwalk.us) offers a riverside view of some of he best architecture in the city. The wide level walkway is an excellent choice for wheelchair-users and slow walkers. Accessible ramp access to the Riverwalk is available on the east side of State Street, the west side of Clark Street, and the west side of Franklin Street. And if you get hungry, there are also a number of restaurants along the route. If you’d like to learn a little about cold hard cash, then plan to stop at the Federal Reserve Bank of Chicago Money Museum (www.chicagofed.org/education/money-museum/index). There’s no admission charge to this wheelchair-accessible museum, which features exhibits about the history of currency, inflation and even counterfeiting. And don’t forget to have your picture taken next to a million dollars. Free guided tours are also available during the week at 1 p.m. The only downside to this museum is that it doesn’t give out any free samples. Finally, if you’re looking for an accessible place to rest your head, surf on over to Easy Access Chicago (www.easyaccesschicago.org). Although this excellent web resource doesn’t offer any free lodging options, it does include an advanced search feature which allows users to search for a property based on price, access features and location. Best of all, the price is right — like many other things in Chicago, Easy Access Chicago is free.